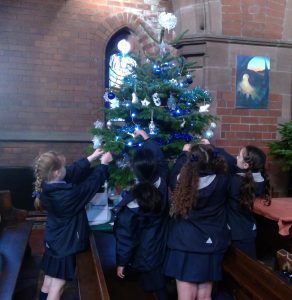 The School Council at Merchant Taylors’ Primary recently decorated a Christmas Tree as part of St. Faith’s Church Christmas tree festival. The charity we chose to support this year is the Whitechapel Centre for the homeless in Liverpool. 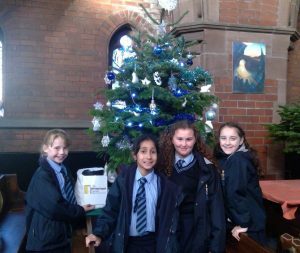 Well done girls, the tree looks fantastic! Thank you for all your efforts in supporting the Whitechapel Centre this Christmas.